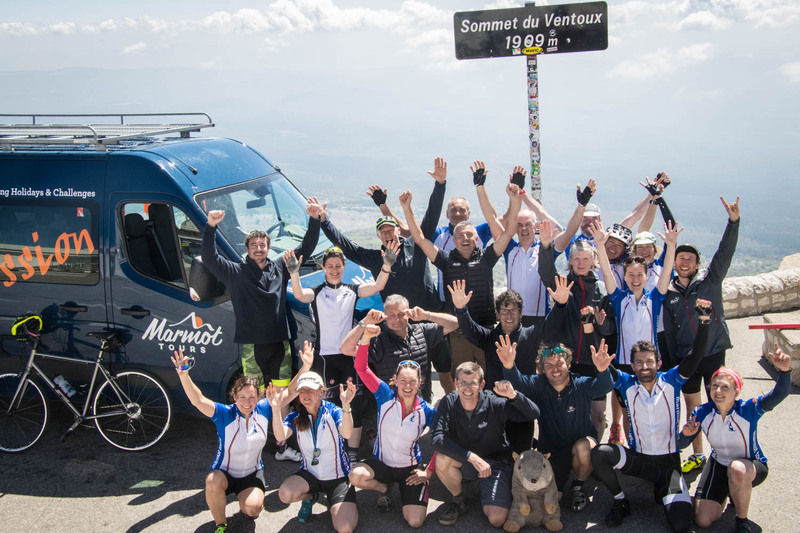 As most new or returning Marmoteers quickly become aware, a great deal goes on behind the scenes of every Marmot Tours cycling holiday to ensure every day runs as smoothly as it does – it’s what keeps Marmoteers coming back. It’s also what keeps guides coming back year on year. The role of the Marmot Tours guide is so much more than just a “van driving job”. … Starting with giving me a sound co-guide! Every trip is run by two guides, each with their own van (more on these super steeds later). I can’t even begin to describe how wonderful it is to work with someone who is not only passionate about Marmot Tours and cycling, but also hardworking, a people person to a tee, but also from whom I can learn further skills and techniques. Prior to working as a bike guide (in various capacities), I worked as a management consultant for a big firm in London. I need to work with people who are efficient and pro-active. And I know from working for other tour operators that one of the hardest parts of the job is, weirdly, negotiating your teammate(s). Thankfully, the fear and awkwardness is a distant memory now. James has cherry picked his guides very well, in my humble opinion. I joined the Marmot Tours family two seasons ago, so the interview process is still very fresh in my mind. I was so impressed by the questions I was asked, all clearly endeavouring to work out if we shared the same values while also giving me the opportunity to work out if I wanted to work with them. At staff training we are vetted again. The final test, however, is on our first trip where James will accompany a new guide, to explain all things Marmot, gently but firmly correcting or amending our style to fit in with ‘The Marmot Way’. So actually, when I turn up for a new trip, I really look forward to working with my co-guide who I’ve chatted to briefly at training but whose leadership style and stories I enjoy uncovering as the trip unfolds. The next best (and most daunting) part of running a Marmot Tours trip is, of course, the clients – the Big Unknown for a guide. You’re another reason I keep coming back year after year as I’m amazed at how many interesting, caring and inspiring people I get to meet by being a guide on these trips. As a young woman in the midst of a quarter-life crisis (it’s a millennial thing – I’m not making it up! ), confused about the jobs available and the craziness of the world around me, I’ve delighted in meeting and chatting to Marmoteers over dinner or at the back of the van, on airport transfers or just to shelter from occasionally foul weather, who have walked so many different paths, do or have done so many different kinds of jobs but share a passion for discovering the world one rotation at a time, no matter how painful. My knowing that you’ll all have your fascinating quirks and stories doesn’t stop me from being nervous ahead of the trip. Actually, the start of trip is usually by far the most hectic part of the life of a tour guide. Before even thinking about who, when, and where we’re picking up, we have the logistics of getting bikes and vans to the right place. Marmot Tours has six vans which come in three inseparable pairs. Each van is highly customised from years of experience plus tried and tested iterations, so that each one provides for all the needs any Marmoteer could possibly need. If you haven’t been on a Marmot Tours trip it’s difficult for words to do it justice. Photos below may help a little further! Their movement around Europe is a matter of extreme precision and, ahead of the season, occasional headaches. The spreadsheet that spells out their various journeys is a finely tuned masterpiece that I, as a Marmot Tours guide (and fan) am in complete awe of. And there may be a bit of fear there too. Indeed, it will give me all kinds of information and will inform me that though my trip starts in Bilbao, I will need to fly to Geneva two days before to collect a van, drive it all the way across France, stopping off in the Pyrenees to collect supplies, paperwork and a few more hire bikes from the French office before meeting guests in a timely fashion at Bilbao airport. But you know what? I’ve learned to trust in the wisdom and sense of ‘The Spreadsheet’! But let’s fast forward a little to what it’s like behind the scenes on the trip itself. Exhilarating is the word that comes to mind. Intense. There’s a great deal that goes on – I don’t think I’ve ever found the opportunity to twiddle my thumbs in the driver’s seat waiting for riders to get to me. 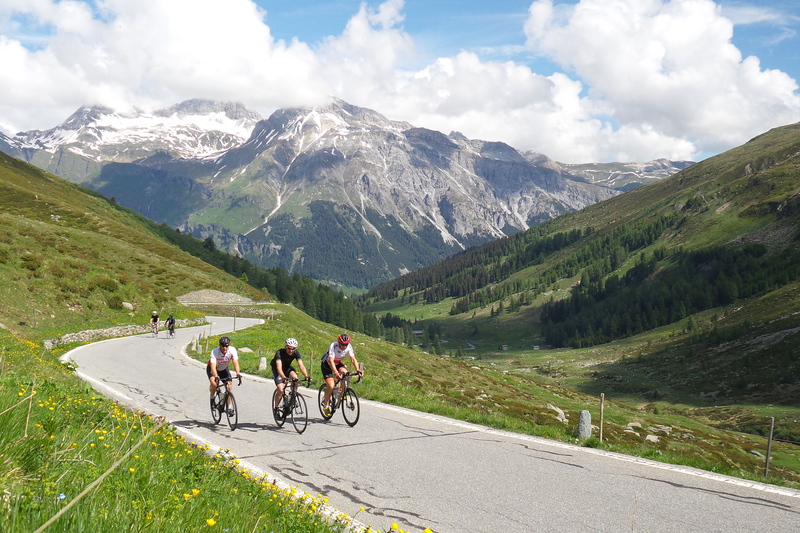 The essence of the Marmot Tours trip is to encourage everyone to ride at their own pace, so part of the challenge is ensuring that each and every one of our guests receives the attention, time and everything they need from us at the start of the day. With two vans on the road, both dedicated to supporting cyclists, this is a fun challenge as opposed to an insurmountable one, but it does involve staying alert; learning people’s names as promptly as humanly possible so we can ensure their day bags are in the right van; counting and re-counting all the cyclists we’ve seen and hoping none of them were Marmoteer-looking locals. We stop to snap away with our cameras, hoping to get a good selection of pictures you’ll be sent at the end of the trip, from all different angles and with all the dramatic backgrounds that speak volumes about the challenge you’ve undertaken. 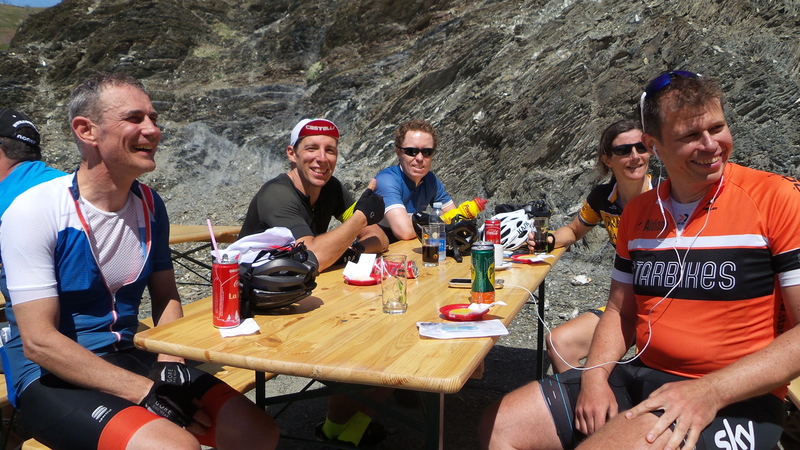 We’ll be setting up exciting looking snack food tables at key points: at the top of the climb, or that hour before lunch when the memory of breakfast suddenly fades, or in the mid-afternoon sugar-slump. Food is a bit of a thing for me: I really enjoy trying to create an exciting snack food table with healthy fruit options and the most wholesome or cycling-appropriate (and occasionally naughty) local delicacies I’ve learned to find. We follow the same route cyclists take at all times, except in remote areas where finding a petrol station, or a shop with bananas of the correct ripeness, or cake of the right calibre may require a detour. The challenge is for us to run our errand without Marmoteers so much as noticing our absence. There’s the question of the hotels and the cafes – keeping you all fed and watered is easy enough on the road when it’s our sole responsibility but needs much more careful and diplomatic micro-managing when it’s out of our hands and in the hands of the cafes we stop off at for coffee or lunch during the day. We do what we can to mediate, translate, waitress. This is without a doubt one of the more challenging parts of our job. There’s the loading and unloading of hotel bags and bike boxes. We sometimes face severe weather or road disruptions which may involve extensive re-routing. There may be the odd unfortunate accident which we’ll always be very hands on with. Hire bikes will need their daily check-ups and bike maintenance could be someone’s full time job on some trips. The workload isn’t small and I know that I’m not alone in feeling that when I work as a guide, my personal life is basically on hold for the duration of the trip. So all in all, it’s a jolly good thing I find it all so enjoyable and oddly rewarding! 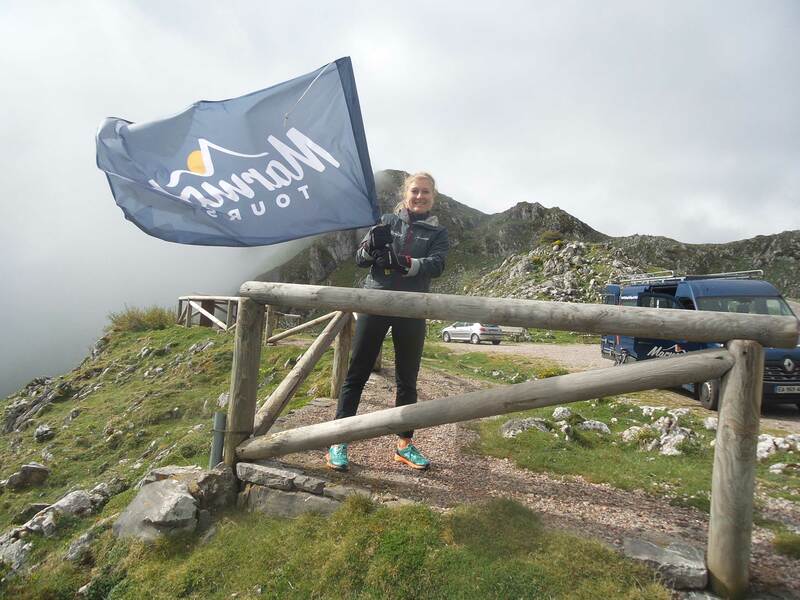 Working as a freelance guide for a fantastic company gives me the opportunity to lead a life to my own schedule, with plenty of time to think and bucket loads of inspiration – courtesy of everyone that works at Marmot Tours. I’m actually writing this from Nepal which is where I’ve escaped to for part of this winter. It’s the “down season” for most freelancers that ski or work in climbing centres and a fantastic time of year to explore rather cool parts of the world. For my part, I’m finally getting down to some biking of my own. It’s a bit of an adventure. I’ll be sure to tell you about it if I have the pleasure of meeting you (again maybe) on one of my Marmot Tours trips next summer. ‘Til then, and thanks for reading!